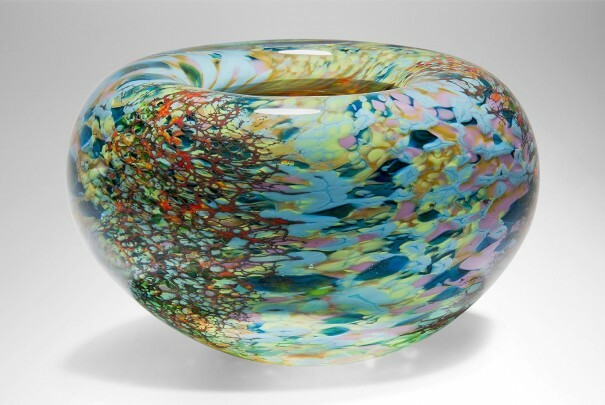 Since its conception over a decade ago, Reef has constantly evolved, becoming something new, although all the elements involved in creating the pattern have basically remained the same. 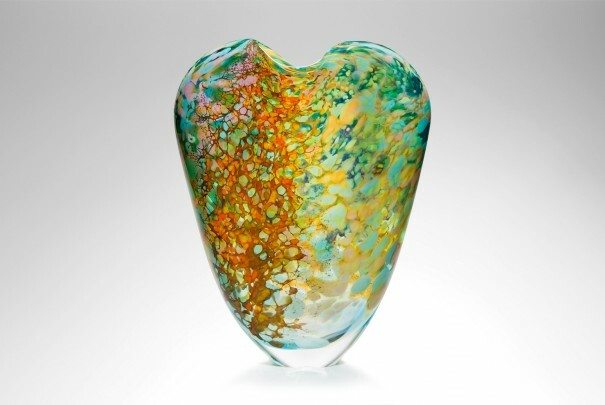 Originally inspired by a visit Peter made to the Great Barrier Reef, this design, like the coral which shapes the immense shelves of the reef itself, is never static. 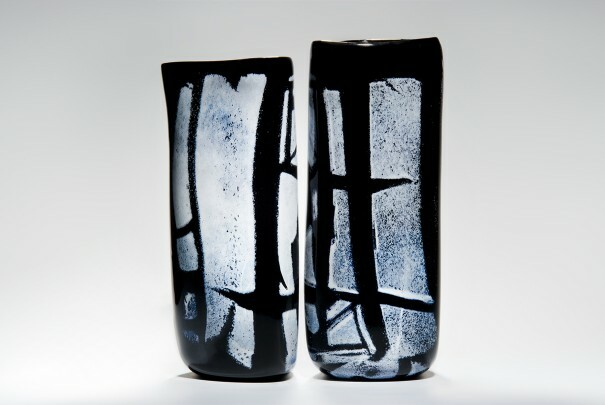 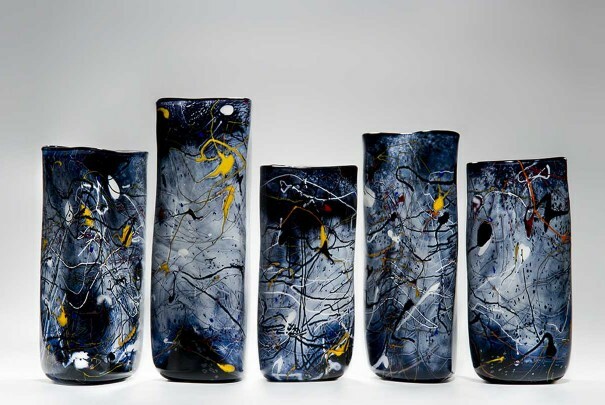 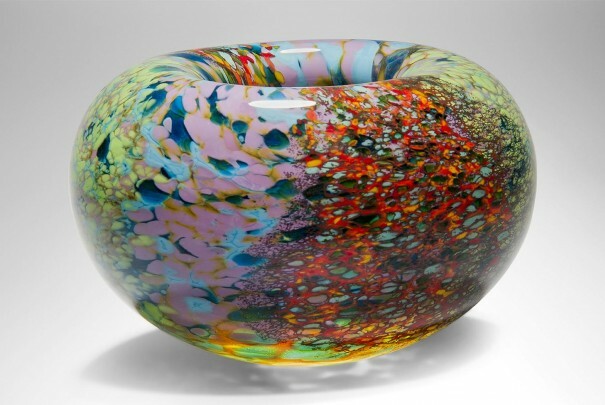 Each time Reef is made, Peter is intrigued to discover some new textural or visual element. 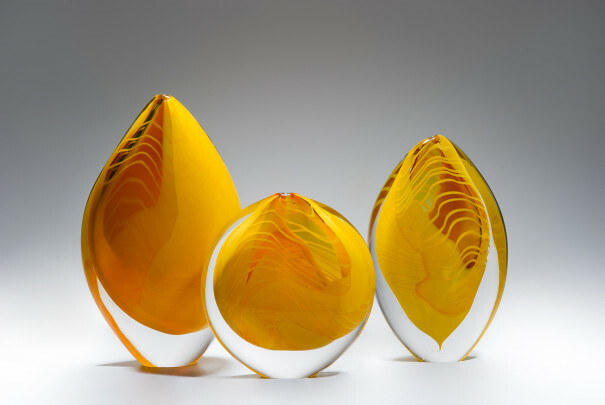 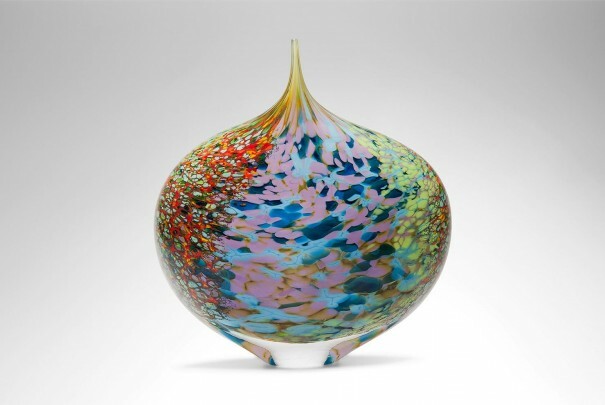 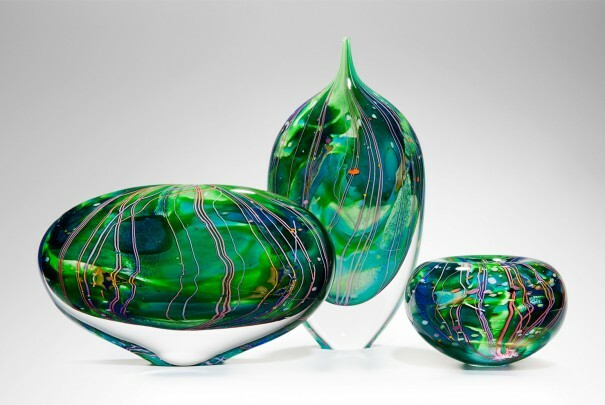 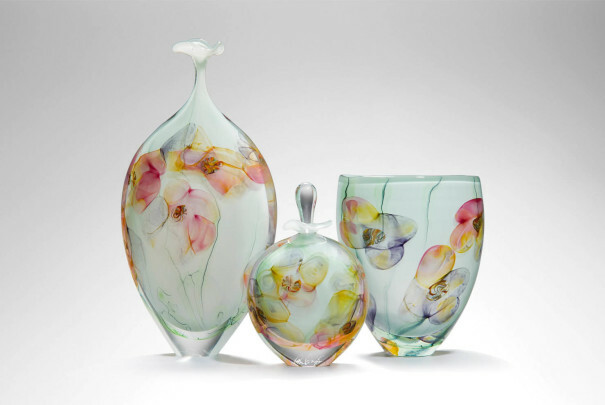 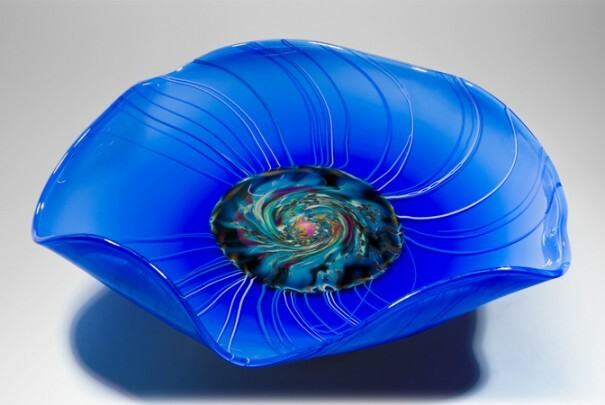 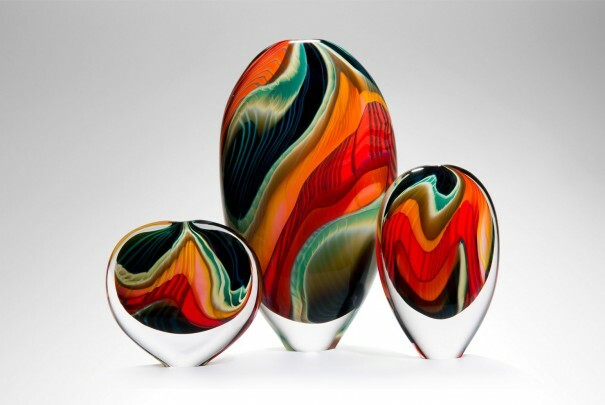 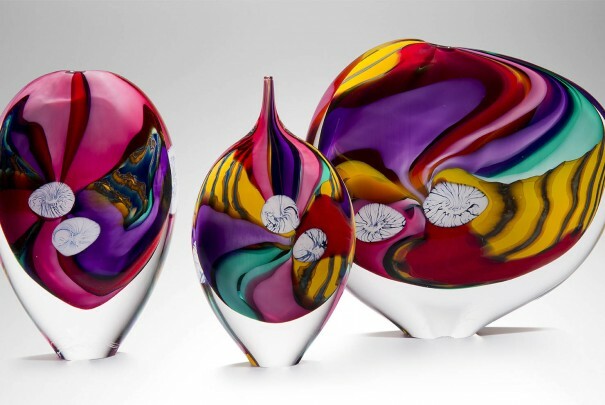 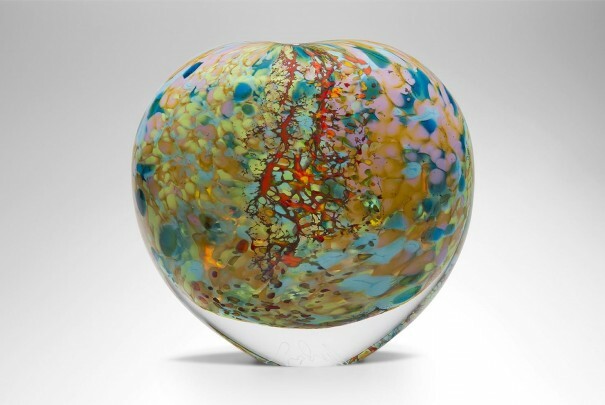 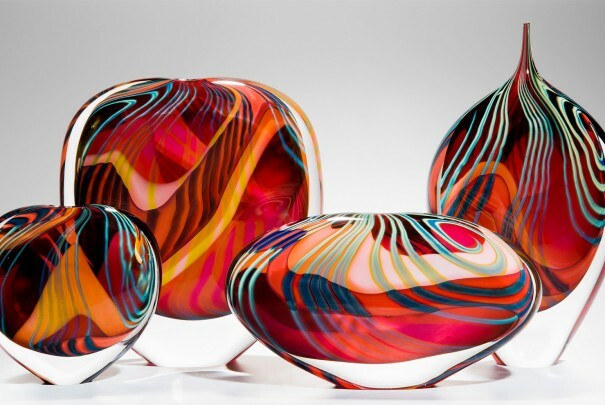 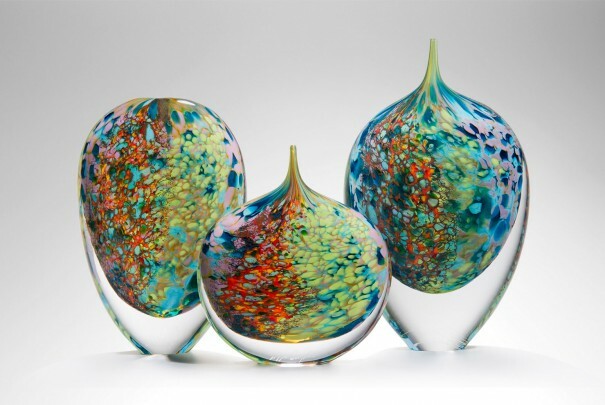 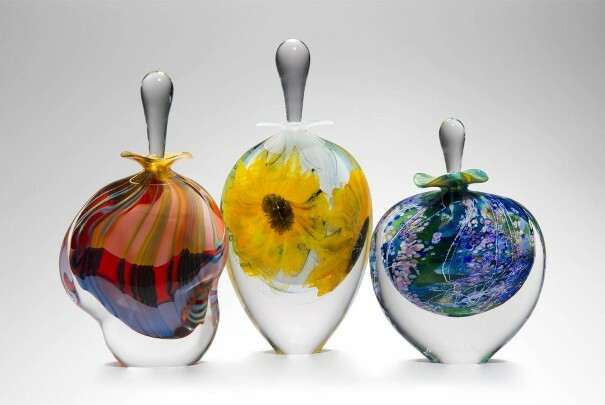 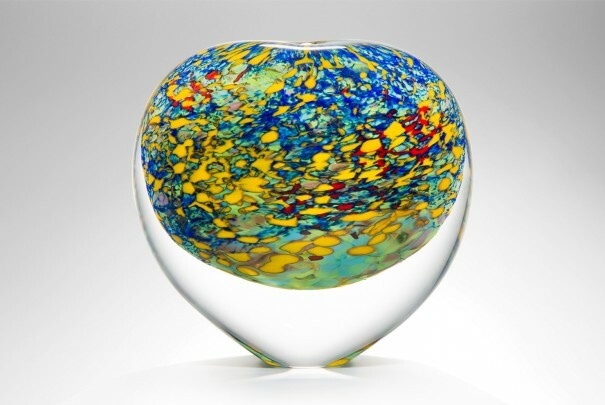 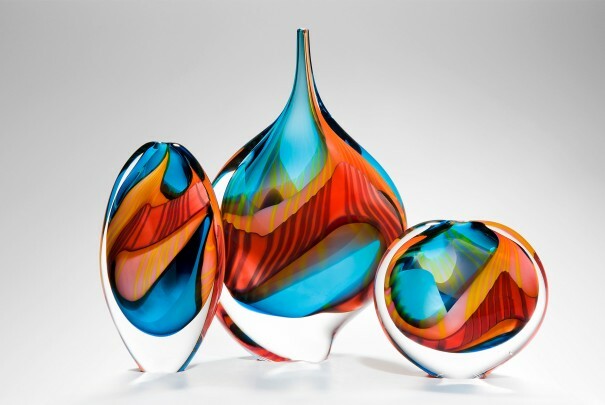 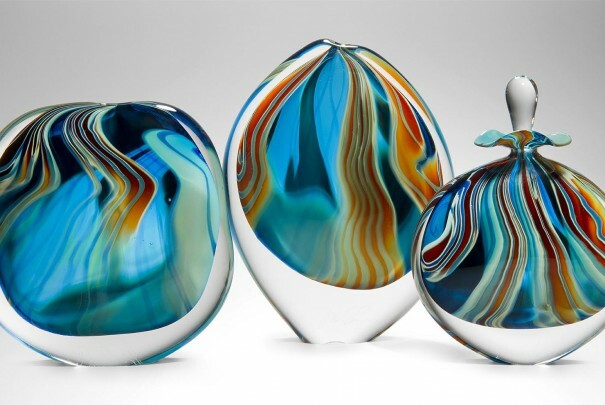 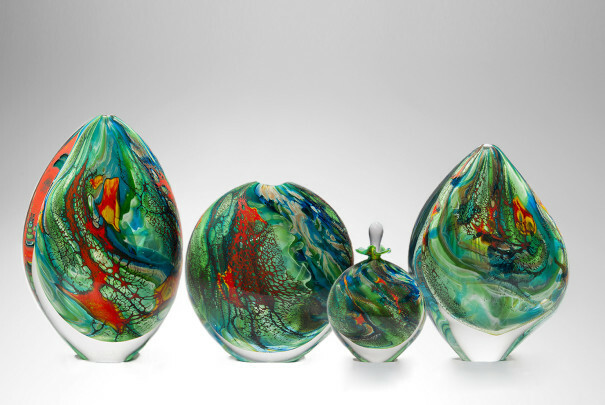 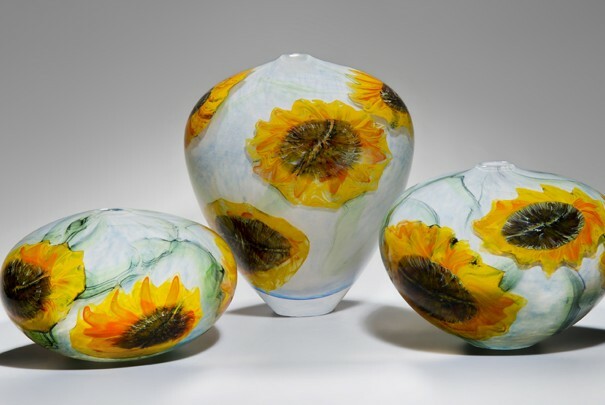 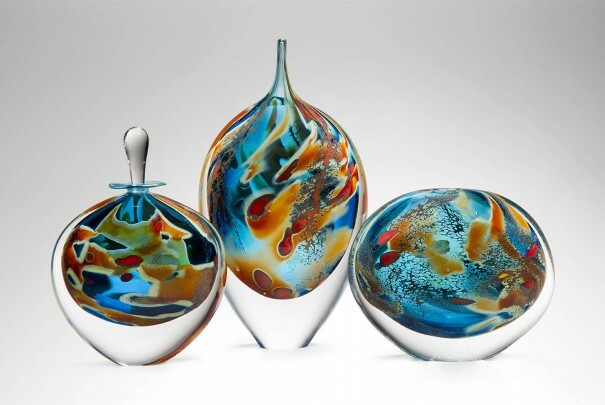 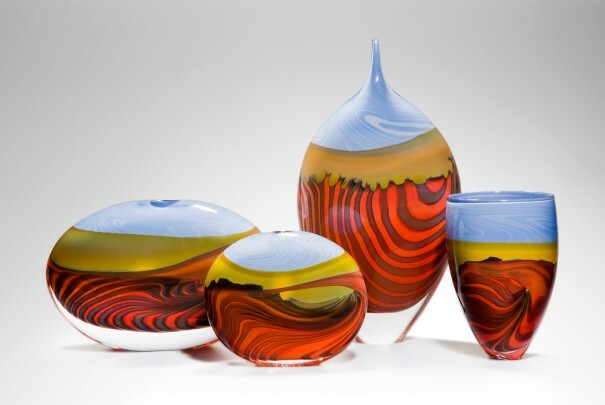 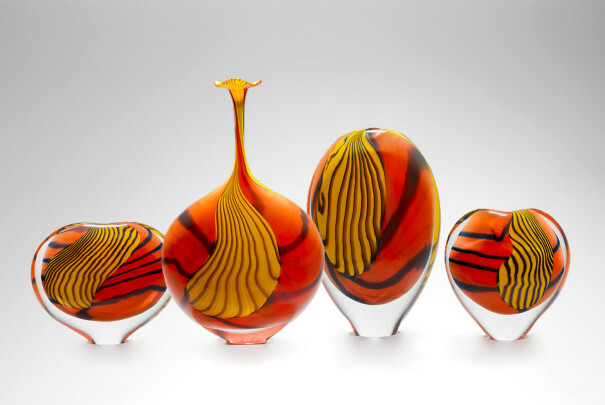 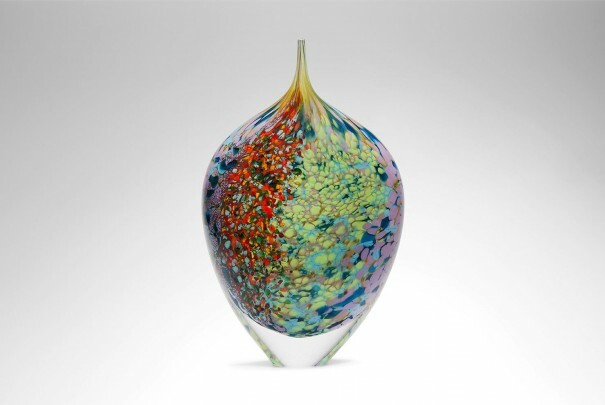 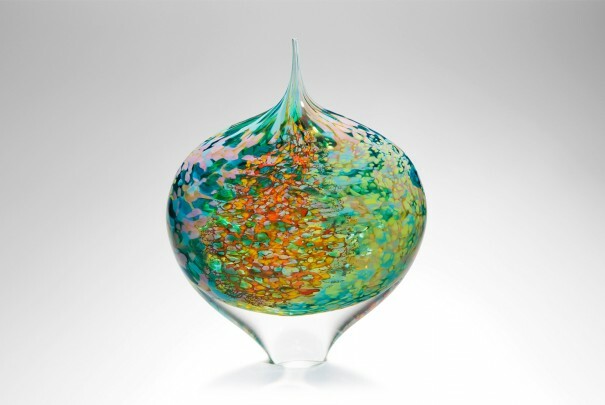 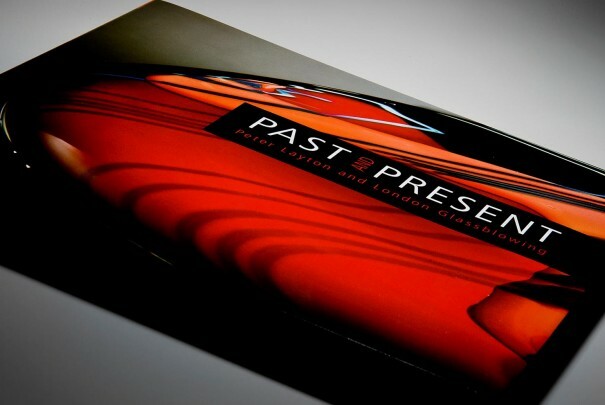 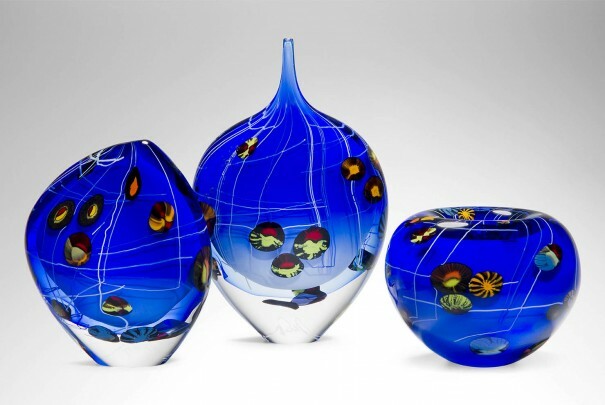 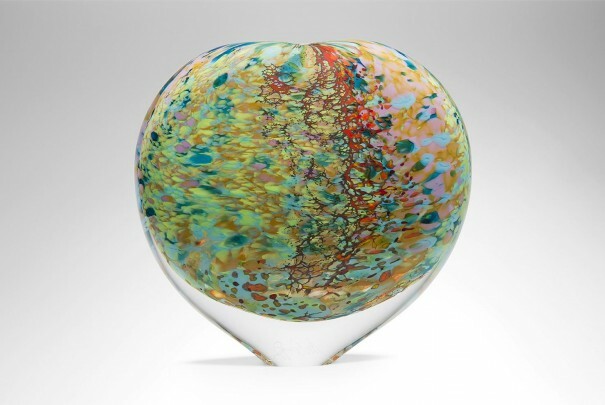 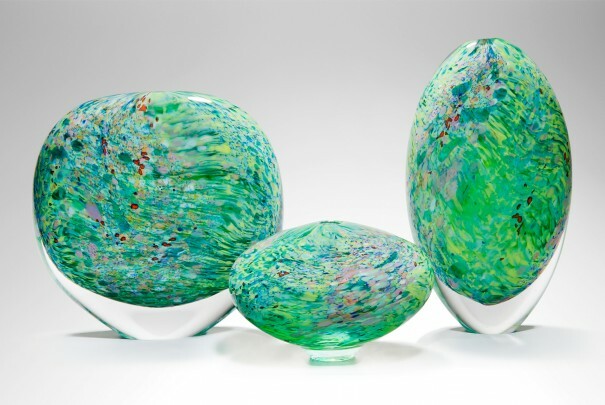 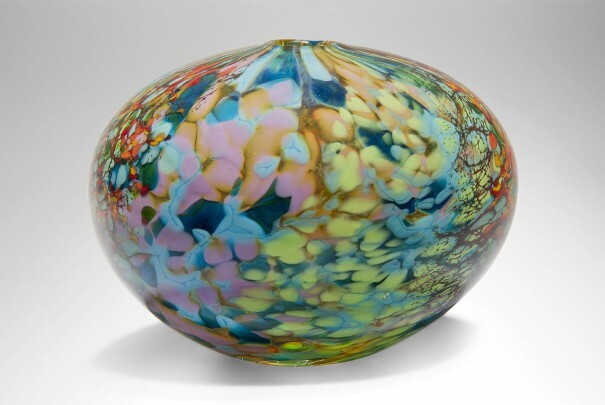 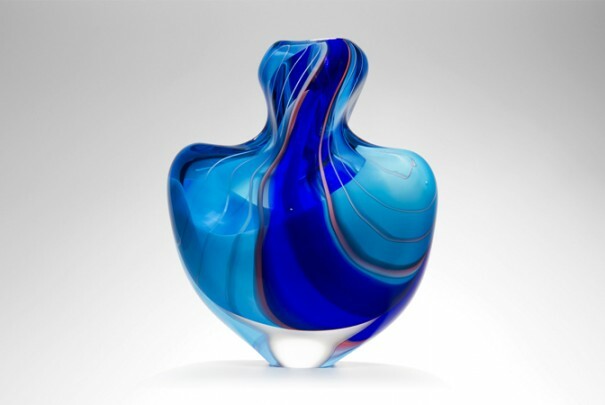 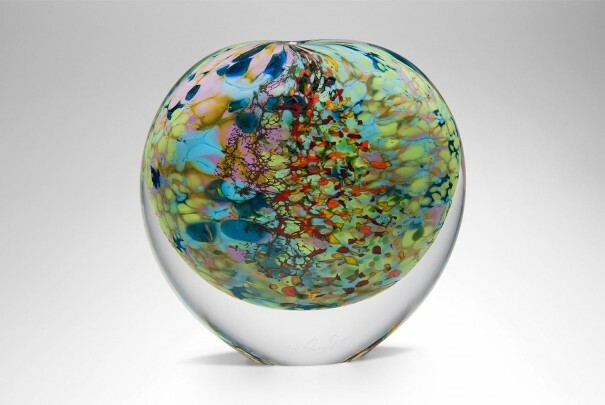 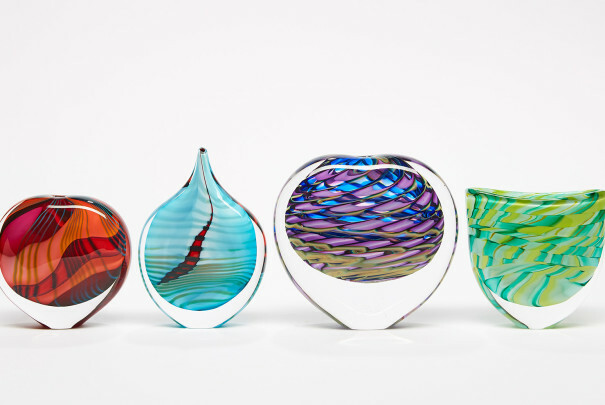 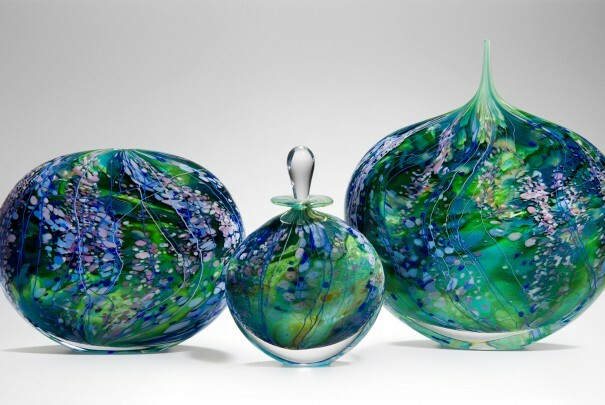 The magic of glassmaking lies in being surprised by the unexpected in your own creations.